I mentioned in an earlier post that I was spending some time by Taal Volcano in Taal Lake. 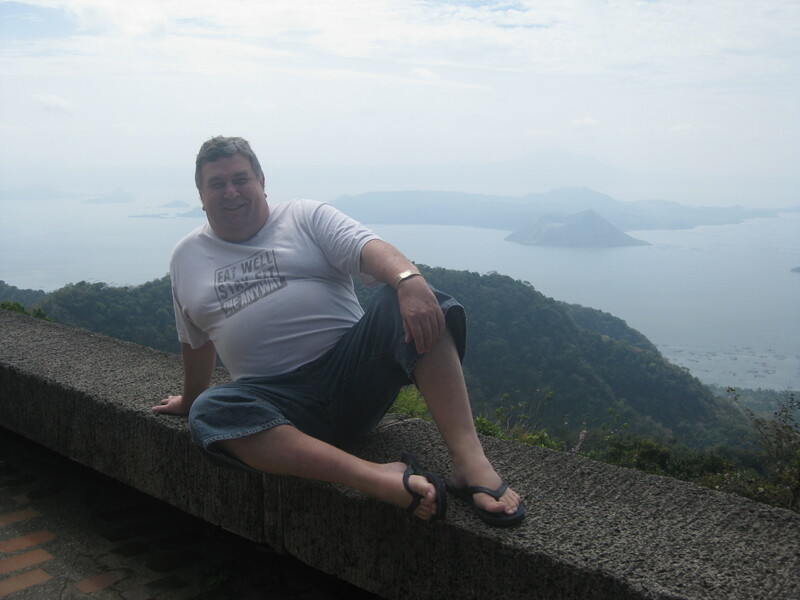 I also promised that I’d post this picture of Thomo, relaxed, with the lake and the volcano in the background. Yes, Thomo has retained his fulsome figure, in part from the philosophy espoused on his t-shirt. Really, the Tagaytay City, Taal Volcano, Taal Lake area of the Philippines is just gorgeous and well worth a visit for a weekend.